At ABAN Yaletown Dental in downtown Vancouver, we would like to make sure our patients receive the best dental treatment and services no matter if it is a dental procedure done by dentist and dental assistant, a teeth cleaning done by dental hygienist or it is an administrative task done by our dental receptionist. Please give us your feed back as we are always looking to improve our services to you. “I like Aban dental for their friendly and efficient service. I have never had to sit in the waiting room…I have always been served on time. I love the lively colors in the décor and the massage mat. 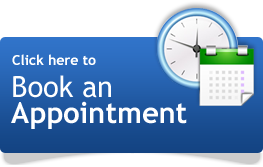 “Aban dental is conveniently located near my work. I have no trouble booking an appointment during my lunch break. It is fast, friendly, and convenient”.